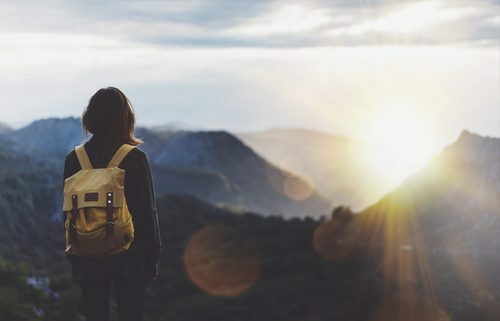 Smart suggestions for ways that you can effectively document your travels and make them a memory you can always look back on. I noticed early on in my first trip to Europe that when you’re traveling, it’s easy to forget what you did, saw, and felt along the way. That’s not because it’s un-memorable; it’s because there’s just SO MUCH that it all starts to mix together. However, travel is a special opportunity, and you’re going to want to remember each step along the way. 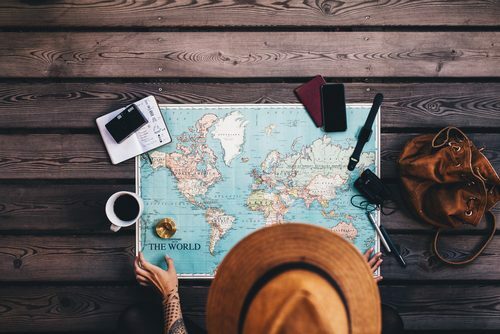 So, in order to help you enjoy your trip to the fullest, here are some suggestions for ways that you can effectively document your travels and make it a memory you can always look back on. A lot of people think that in order to get really amazing photos of the places they travel, they’ll need to spend a small fortune on expensive camera equipment. DSLRs and tripods have their place, but it doesn’t have to be on your vacation. Most of those drool-worthy photos of gorgeous beaches and stunning skylines you see on social media are actually taken with a smartphone. 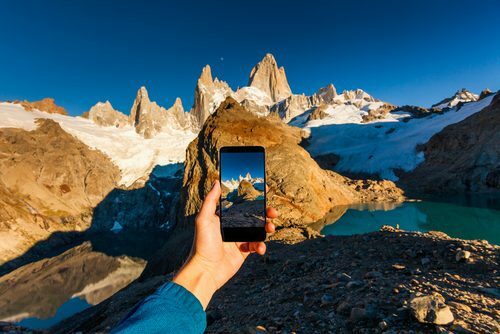 As long as you know how to focus the camera on your phone, and how to do some simple editing to improve the look of the image (like how to adjust the lighting), you’ll be able to create stunning images of everywhere you go with just your smartphone. This article has some great tips for beautiful photos with a smartphone. As a bonus, if you don’t have an expensive camera with you, it’s one less thing to worry about while you travel. Honestly, are you ever going to look back through your photos and be grateful that you took a photo of your half-eaten croissant? Probably not. You also don’t need a photo of every single monument you visit. A good rule of thumb is, can I find an identical photo with a simple Google search? If the answer is yes, then you’ll probably never look back through your photos when it’s so much easier to just google one. Instead, take pictures of you and the monuments. Take pictures of memories and experiences, not of things. You can’t google a picture of the time you tripped into a knee deep puddle of mud on a hike, so take a picture of that, instead of a generic picture of the mountains you’re hiking. And remember this: if you spend your entire trip focused on taking the most aesthetically pleasing photos for your Instagram feed, you’ll miss out on the opportunity to really enjoy the city you’re visiting. You may never get another chance in your life to visit this city, so make it count! Take pictures so you’ll have a memory of when you accidentally drove the wrong way down a one way street in Rome, but not necessarily to show off. The photos should be for you and your memories. Don’t let yourself only see the sights from behind your phone screen, because they definitely look better in person. Now, photographs are not the be-all and end-all of travel documentation. 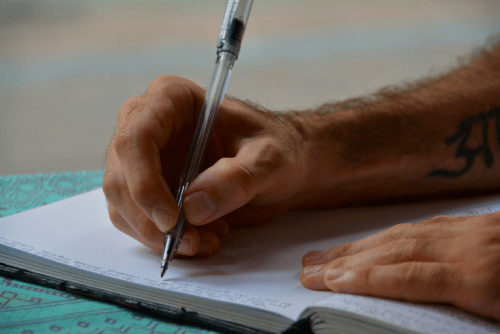 If you want to delve a little deeper and take some time to really reflect on the experiences and feelings along the way, consider journaling. Write down your experiences; not just what happens, but your thoughts and impressions along the way. It can be fun to scrapbook, too. Try adding in ticket stubs, napkins, and notes to keep the journal colorful and personal. Keep a few running lists going, enumerating things like your favorite food, people you met along the way, the best views, and the luckiest accidents. Write letters to someone at home who couldn’t come. Write creative mini-stories about each place you go, imagining a drama playing out using the prompts you see around you. Learn what you can about the history and significance of each place you go, and record what you learn. This is especially handy for people who want to be able to look more into it later; I know that I always forget those details sooner than I’d like. Add new places that you’ve heard about, often from other travelers, that you’d like to travel to in the future. Track your expenses. I know that might seem like a really dry way to journal at first, but it actually can prompt you to remember great experiences. How we spend our money reflects our priorities, after all. It can also be a really effective way to stick to a travel budget, since you don’t bleed out money without taking note. Check out this article for more suggestions for saving while traveling. Narrate your own experiences with some creative cartooning. You don’t have to be a good artist for this; my favorite sketches are stick figures. It always makes it fun to look back on. Speaking of sketching, this is a great way to slow down and really soak in a place. Instead of taking a snapshot, find a place to sit down and draw a picture. You might end up sketching a skyline or view, or doing quick vignettes of the people around you, if you’re a quick study. More interested in impressionist art? Bring some watercolors or pencils to make more subjective, abstract expressions of what you see and feel. If you feel self-conscious about your artistic skills, don’t! We all have to start somewhere and this is a great way for you to expand your skills. I hope that you will find these ways of documenting your travels helpful on your next trip! For more tips, check out these great ideas for recording your travels. Which of these 4 tips on how to document your travels is your favorite? I LOVE this post. I am leaving on a long term RV trip with my son in a week or two. I am totally going to use your writing prompts!